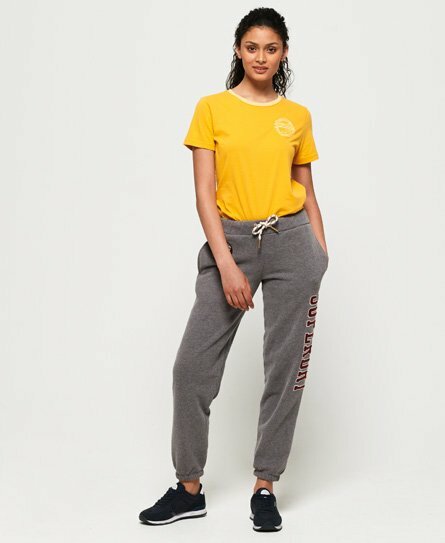 Superdry women’s Hayden boyfriend joggers. For a fuss free approach to everyday wear, look no further than these stylish joggers. Simple yet versatile, these can be paired with your favourite tee, hoodie or jacket to put the cosy vibes back into your go-to wardrobe pieces. These joggers feature a drawstring waistband, two pockets and a Superdry applique badge on the thigh.